Our clients approached bi Design having just purchased a site with planning permission for a large block of flats in close proximity to Swadlincote Town Centre. With planning permission in place our initial contract was to provide building regulations drawings for the flats to be constructed from. 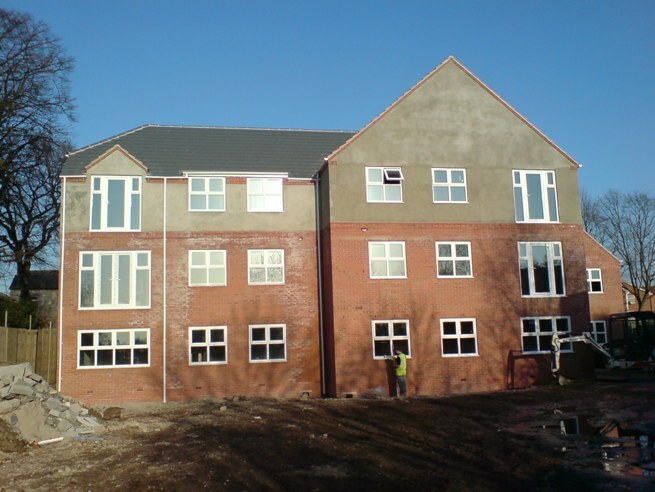 Subsequently the flats were near completion and individually marketed at a local estate agents. The country had just entered the early stages of the 2008 recession where buying and selling property had become very difficult and the bottom had fallen out of the flat market. With no buyers lined up the building became a big financial burden and a new use was critical to ensure payments could be made on the building. 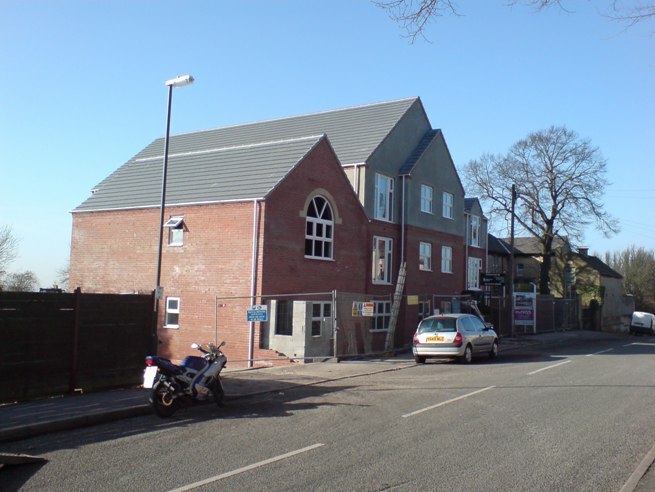 The solution was to convert the residential flats into a large care home facility. 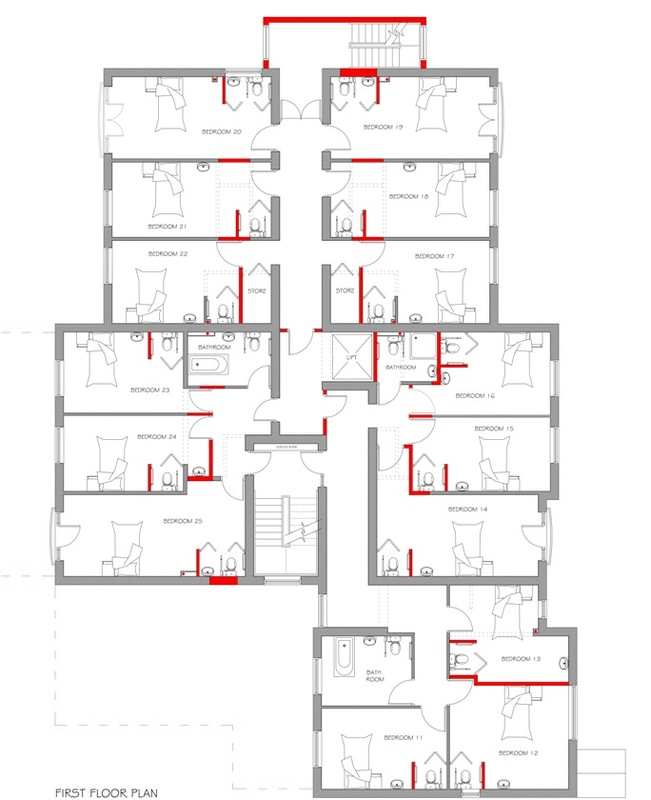 The outcome retained as much of the existing internal partitions as possible to subdivide the individual flats into en-suite bedrooms. 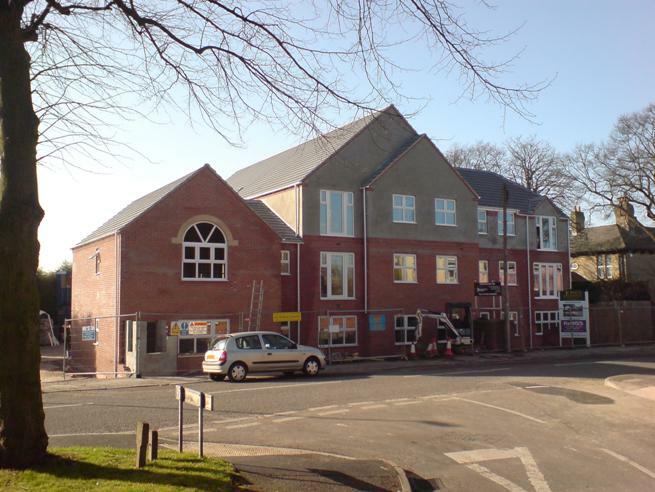 The building has now become a very successful care home which bi Design has subsequently extended to add extra bedrooms and facilities as it became over subscribed.